Is The iPhone XS Waterproof Or Water-Resistant? Here's The Truth! 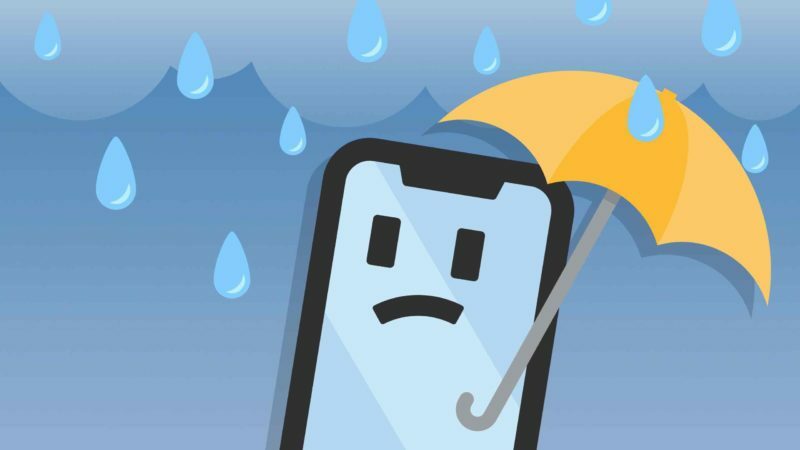 You are at:Home»iPhone»Is The iPhone XS Waterproof Or Water-Resistant? Here’s The Truth! You’re thinking about purchasing the iPhone XS, but you want to know if it’s waterproof first. iPhones and water-resistance can get a bit complicated, but I’ll help make it clear for you. In this article, I’ll answer the question on your mind — is the iPhone XS waterproof or water-resistant? Is The iPhone XS Waterproof Or Water-Resistant? With an IP rating of IP68, the iPhone XS is designed to be waterproof when submerged no deeper than 2 meters (roughly 6 feet) in water for 30 minutes or less. However, Apple doesn’t guarantee that the iPhone XS will survive in water, and that’s why AppleCare+ doesn’t cover liquid damage. All of this is also true for the iPhone XS Max, the larger version of this iPhone. If you’re taking your iPhone XS out by the pool or to the beach, we highly recommend keeping it protected in a waterproof case. These Lifeproof cases can withstand drops from over 6.5 feet and are snow, ice, dirt, and pretty much everything else-resistant. Since you won’t be able to have your water-damaged iPhone XS repaired or replaced using your AppleCare+ plan, we highly recommend you don’t go around dropping your new iPhone in water to impress all your friends. What Does IP68 Really Mean? IP stands for ingress protection and these ratings can get a little technical. The first digit in the rating indicates a device’s dust-resistance. 6 is the highest score a device can receive for dust-resistance and it means that your device is completely protected when coming in contact with dust. The second digit in the IP rating indicates how water-resistant a device is. 8 is the highest possible rating a device can receive for water-resistance, but that doesn’t mean your iPhone XS is completely waterproof! As I mentioned earlier, Apple won’t cover the cost of a repair for liquid damage, so be careful when using your iPhone XS around water. The iPhone XS is the first iPhone to ever receive an IP68 rating! Previous water-resistant iPhones, like the iPhone X, all received ratings of IP67. 1. It’s a failsafe in case you accidentally hop in the pool with your phone in your pocket. 2. You can still usually use your (new iPhone) while you’re out in the rain. Is The iPhone XS Waterproof? Explained! You now know whether your iPhone XS is waterproof or water-resistant! Keep in mind that Apple doesn’t cover liquid damage, so we recommend purchasing a waterproof pouch if you haven’t already. If you have any other questions about the iPhone XS, feel free to leave a comment down below! Previous ArticleMy iPhone Won’t Stop Vibrating! Here’s The Real Fix. Next Article iPhone XR: Waterproof Or Water-Resistant? Here’s The Answer!